Kitchens are one of the best rooms to invest in. Not only are they becoming the place where we tend to spend most of our time with our families, but a well-designed, refurbished kitchen can also add great value to your home in an instant. 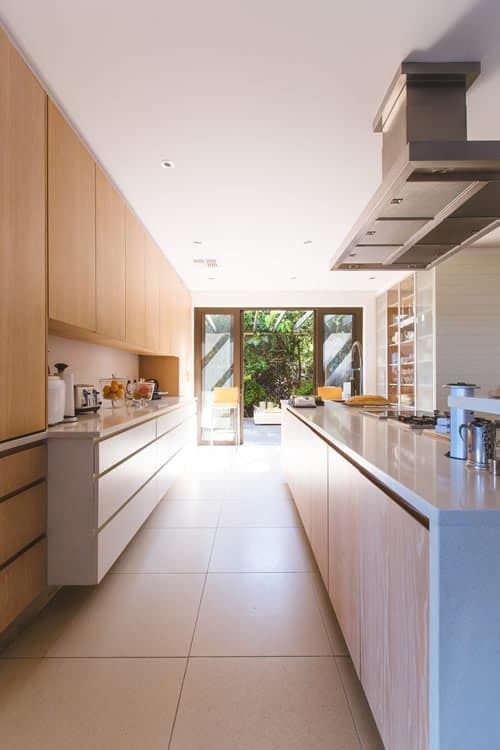 According to Kitchen Fronts, a kitchen remodel is a sure-fire investment that usually returns more than 100% of the cost. So it’s no surprise that many of today’s kitchens include high-end finishes like marble or granite, which are beautiful, durable, and relatively easy to care for if you know what you’re doing. And to make sure you do, we’ve put together this Guide on Taking Care of Your Granite Countertops. Despite being more expensive than other materials, the installation of granite countertops is a popular choice for many homeowners because of the benefits it affords. It’s incredibly strong, both scratch and heat-resistant and, once properly sealed, highly protected from stains. It blends in well with both modern and traditional style kitchens and if properly cared for can last many, many years. While most dirt, germs, and bacteria can easily be removed with a quick wipe, you do need to take extra care when it comes to granite surfaces. Of course, you want to remove all dirt and grime and stop any from mold developing. But harsh cleaning could damage your beautiful surface. So, how do you take good care of granite countertops? There are two basic stages to consider when cleaning granite countertops in the kitchen. One is the day-to-day cleaning that you would do after cooking or as part of your regular cleaning routine. The second is more of a deep clean, designed to bring out the natural shine and quality of the material that you might want to do every couple of months. For the day-to-day clean, you can just give your granite surfaces a wipe over with warm water and a little dishwashing soap. Once clean, you can dry the surface with a soft cloth and that’s pretty much all there is to it. However, over time, dishwashing soap can begin to leave a very light film behind and rob your granite surface of its natural sheen. This is especially true for dark granite countertops. At this point, you need to invest in a reliable granite cleaner and treat your kitchen to a deep clean. The most important thing to remember when choosing a granite cleaner is that it mustn’t be too acidic or too basic. It should be a pH neutral cleaner designed to tackle problem areas in your kitchen. So, if your granite is suffering from greasy spills, you’ll need a pH neutral granite cleaner with degreasing capabilities. Granite is a natural stone and like all other natural stones, it’s porous. That means unless it’s properly sealed, anything spilled on its surface can get into the material and leave a stain. Some sealers protect granite for years, while others are only really any good for six months. Also, some sealers are permanent, whereas others are designed to be applied, removed and then reapplied on a regular basis. As it’s such an important decision, seek out professional advice before you make a purchase. The good thing is that sealing a granite countertop is a very simple process. It’s a case of wiping down the surface with warm water and a little dishwashing soap, drying the surface with a soft cloth and then applying the sealer with a small brush. Another reason why granite is so popular, particularly in family homes, is that it doesn’t harbor as many bacteria as some other countertop materials. Having said that, it’s nothing like Silestone quartz; a material used in some countertops as it actually kills bacteria. Therefore, it is a good idea to disinfect your granite from time to time, particularly if you’ve been handling raw meats and fish. The most important thing to remember is to avoid using harsh disinfectants, like bleach, as they can damage the granite, making it look dull and lifeless. Eco-friendly cleaning has been growing in popularity in the U.S. since 2009, with Americans beginning to comprehend the dangers of inhaling and coming into regular contact with chemical based products in the home. However, when it comes to granite, homemade cleaners, like vinegar, should be avoided at all costs, as it’s highly acidic and can leave scratch marks on granite countertops. DO chop where you want. You can chop and prepare your food directly on the countertop without worrying about causing any damage. Having said that, if you want to avoid damaging and dulling your knives, it might be best to chop and prepare food on a chopping board. Don’t mix cold granite and hot pans. In general terms, granite is made from an igneous rock and therefore incredibly heat-resistant. It’s highly unlikely that your pans will ever be hot enough to damage or burn your granite surfaces, which means trivets aren’t really necessary. However, if your granite surface is particularly cold – imagine cooking in the winter months – and your pan is very hot, then the sudden collision of both temperatures could trigger what’s known as thermal shock and cause hairline cracks to appear along your countertops. This is why it’s best to be on the safe side and use a protective surface regardless. So, now you know how best to take care of granite surfaces in your kitchen, the only thing left to do is decide on the style. Take your time doing your research and be inspired by examples of countertops that would fit straight into your home.